The black HTC One Mini has again popped up ahead of its reported Q3 launch, and it essentially looks like a shrunken One, to no one’s surprise. 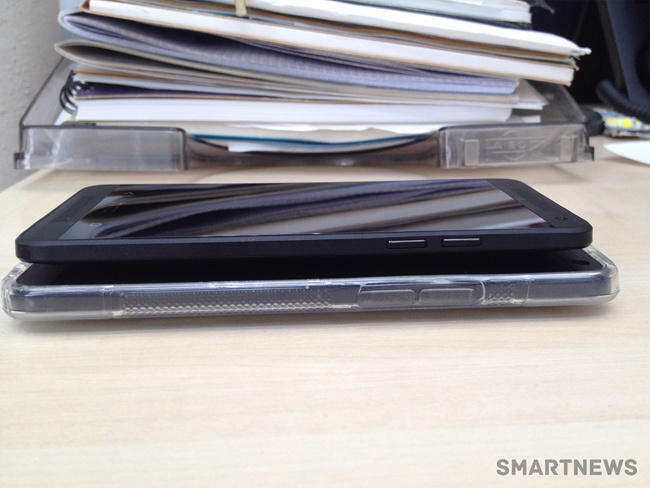 Smartnews.bg, which allegedly acquired a model for testing, published the photos you see above. We can see HTC’s wonderful new design ethos is still intact, though the phone likely has lower-end specs. HTC has only hinted at the phone’s existence when the name was leaked on its site, but it has otherwise been mum on the topic. Samsung’s Galaxy S4 Mini is launching soon, though, so the One Mini makes a ton of sense. The smaller form factor and lower specs could potentially reach a wider market, helping HTC further push into Samsung’s territory. If anything, it will introduce some of the features of one of this year’s best devices to more people, which definitely isn’t a bad thing. 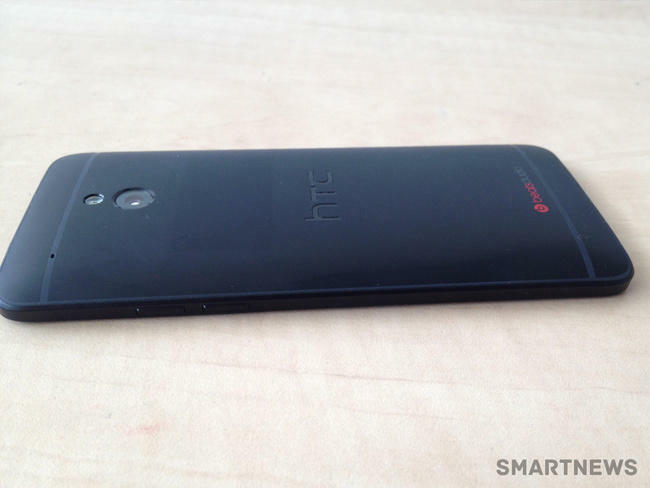 Since the One Mini isn’t confirmed, its specs are still largely unknown. However, Smartnews.bg said the phone has a 4.3-inch 720p HD display, 2GB of RAM and 16GB of storage (likely not expandable). We can also see stereo BoomSound speakers and the back calls out Beats Audio support. 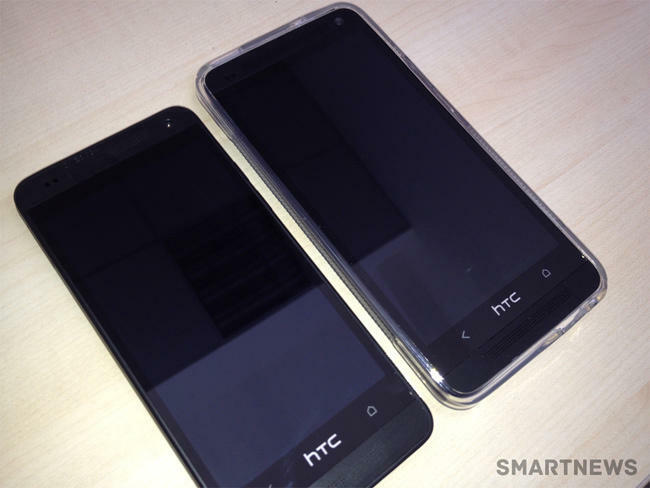 It’s unclear if the device will contain an UltraPixel camera or if it will run HTC Sense 5. We expect to hear more about the device as we move closer to its reported fall release.